2nd June ; I had food review with my husband and my dear friends at Eat Drink Thai Restaurant which located at Jalan PJU 5/9, Kota Damansara, Petaling Jaya. Thank you very much to my dear friend and brother to me for tagging me and my husband along. 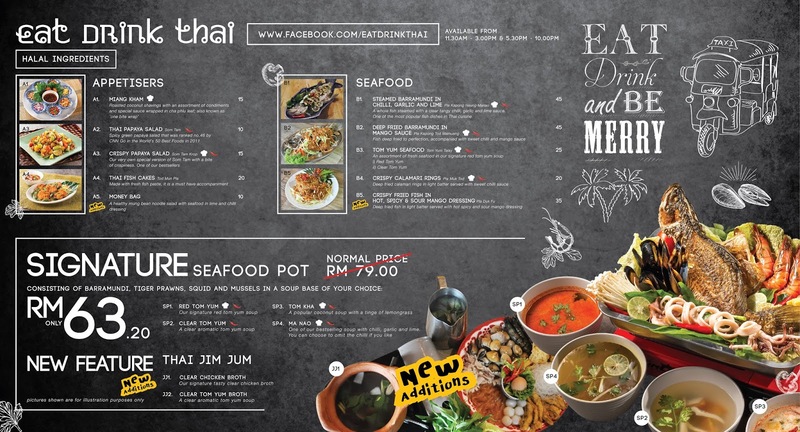 Eat Drink Thai is a Thai restaurant which serves authentic Thai fare, with its signature seafood pot & jim jum hotpot. 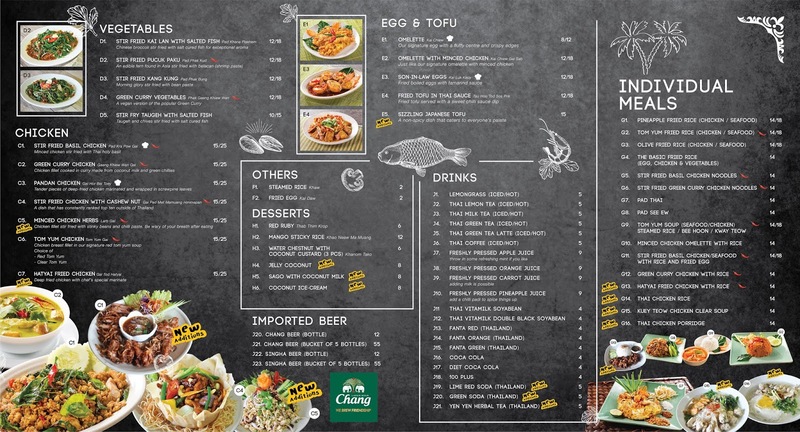 Do you love Thai foods? Come and check it out this restaurant at Petaling Jaya. Look at those seafood!! The prawns so big and fresh too!! This one is my favourite!! It was so so so delicious!! Pandan Chicken!! This is one of my favourite Thai food!! Beside their signature dish, their Thai chefs also whip up a wide selection of classic and fusion Thai food which keeps the diners coming back for more.